Get 0% interest for a 6-month installment plan on a min. single-transaction purchase of P3,000, maximum of P25,000. 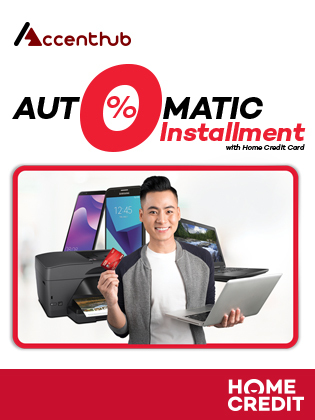 Note: Automatic installment conversion is subject for approval by Home Credit. Cardholder will be notified if their transaction was approved.